Wedged between Lake Superior and Lake Michigan, Michigan’s Upper Peninsula is a remote stretch of the state that’s home to just 3% of the state’s population. The local economy thrives off mining, logging, and in the summer months, tourism. Though notorious for brutal winters, the Upper Peninsula is a vacationer’s dream after the snow melts every spring. In the summer, lush greenery emerges and approximately 4300 inland lakes reappear. 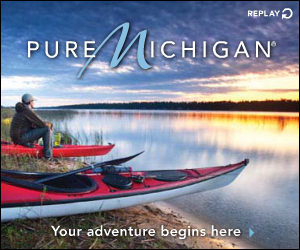 The abundant water – inland lakes, Great Lakes, streams, and rivers – provides anglers, kayakers and other outdoor enthusiasts with plenty of recreational opportunities. And the fun doesn’t stop there; visitors can admire the UP’s beauty while birding, golfing, hunting, hiking, and mountain biking. Those lucky enough can even catch a glimpse of the Northern Lights on clear winter nights. Many who visit the UP are drawn back by its beauty year after year. Some even decide to make it a permanent home or buy vacation property to enjoy it at its peak every year. If you’re considering a move to the UP or are looking for real estate in the area, then check out the UP Real Estate & Moving Resources blog. We gather the information you need to know about the area before you move here, along with local tips for making the most of the UP after you settle in.